I'm trying to solve this error searching the web, without any success. Server wired to router - Router with a dynamic IP from ISP, dynamic dns updated. Windows Firewall: both directions, ports 21, 51000-61000, 990. On my lan it works perfectly. I think there's something wrong with router port forwarding configuration. Here it is. (000013)06/11/2017 21:50:57 - user (my.ip.add.ress)> 257 "/" is current directory. (000013)06/11/2017 21:51:07 - user (my.ip.add.ress)> 425 Can't open data connection for transfer of "/"
I add the ftp server configuration screens too just in case. The router mapping seems suspicious, as you have correctly guessed. It looks like you have all public ports in range 51000-61000 mapped to a single internal port 51000. What would explain, why the client is not able to connect to port 52573. 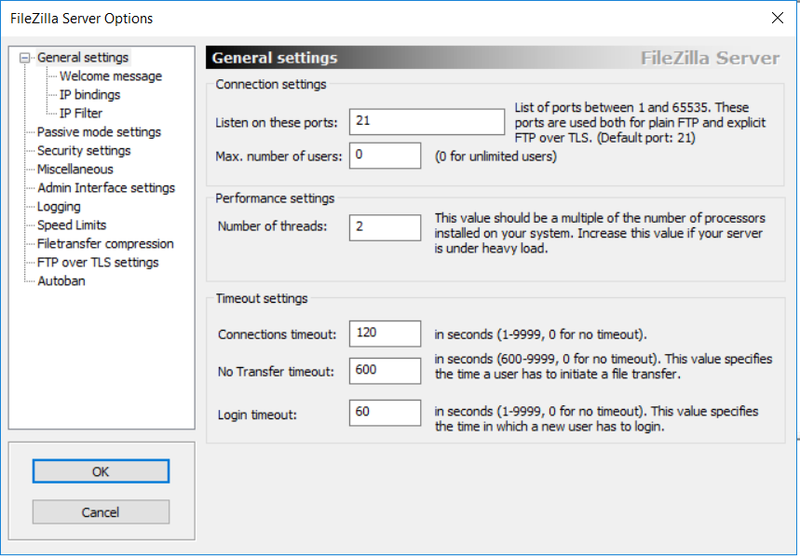 If your router is not able to map a range of internal ports, you can configure your FTP server to use only a narrow range (like 51000-51010) and configure those ports one-by-one. See also How many data channel ports do I need for an FTPS server running behind NAT? Not the answer you're looking for? 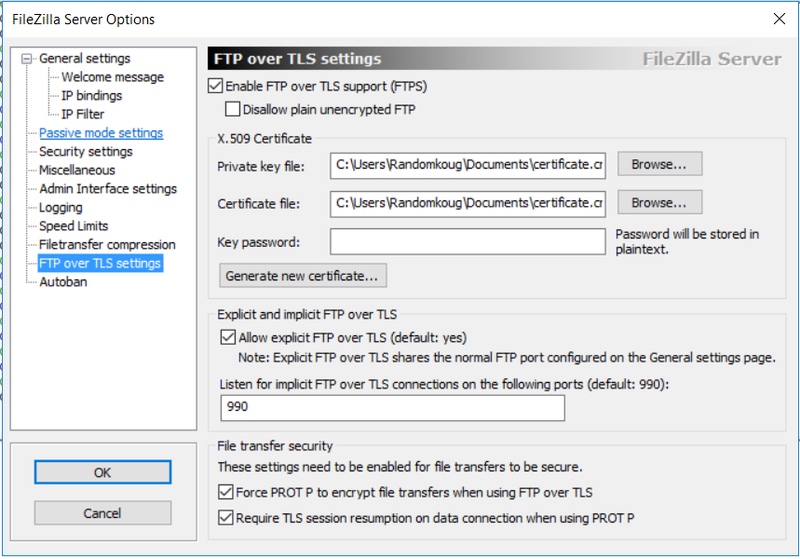 Browse other questions tagged networking ftp windows-server-2012-r2 filezilla or ask your own question.